How Much Money Can You Win on Jeopardy? 1. You’re the first person to ring into every clue. 2. You respond to every clue correctly. 3. You bid as much as possible whenever you can. 4. You get insanely lucky. In the first round of Jeopardy!, there are six categories with five clues worth $200, $400, $600, $800, and $1,000. Six categories worth $3,000 each, means there’s a total of $18,000 on the board. However, you can stand to win almost twice as much money thanks to the Daily Double. For the uninitiated, the Daily Double is a special clue that allows you to wager any or all of your money. They key to maximizing your winnings is the placement of the Daily Double. If the Daily Double is placed on the top row, underneath one of the lowest value tiles ($200), then you’ll have more money to wager. While it’s incredibly unlikely for a Daily Double to be hidden underneath a $200 clue, it’s still possible according to research from Nathan Yau at FlowingData. Additionally, the Daily Double needs to be the last clue you uncover in order to accumulate as much money as possible before doubling your winnings. If you respond to every non-Daily Double clue correctly, then you’ll have $17,800 to wager on the Daily Double and you can end the first round with $35,600. In the Double Jeopardy round, the clues are worth twice as much money (making for a total of $36,000 on the board), but more importantly there are two Daily Double clues. Again, the Daily Doubles need to be hidden underneath the lowest value tiles ($400 in this round) and should be the last two clues you uncover. If you respond to every non-Daily Double clue correctly then you’ll have $70,800 to wager on the final two Daily Doubles. If you respond to both of those correctly, then you can quadruple your money and head into the final commercial break with $283,200. The Final Jeopardy round is pretty straight forward. At this point, you’re sitting on over a quarter of a million dollars and you need to risk it all. The ultimate “True Daily Double.” If you get the question wrong, you go home empty-handed, but if you get it right, you can walk away with $566,400. So basically if you’re a super lucky, super genius with an incredibly fast trigger-finger, you can win over half a million dollars in a single episode. 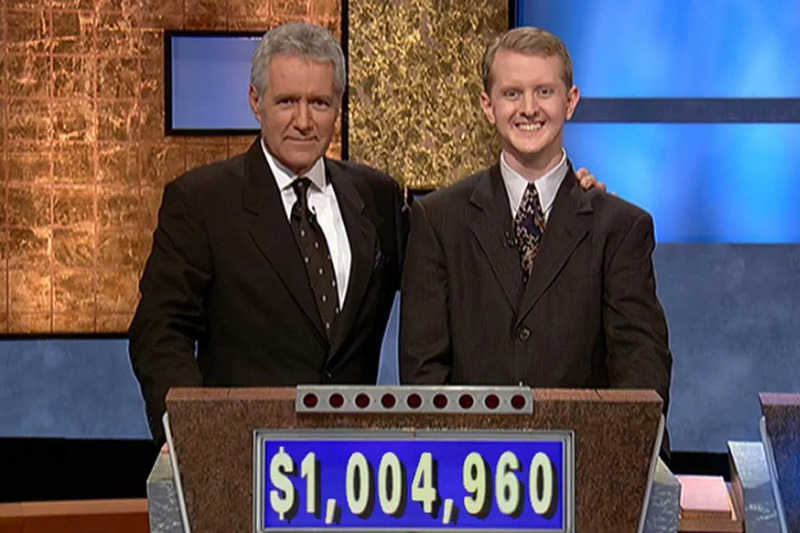 To put that into perceptive, that’s over seven times the current daily record ($77,000 set by Roger Craig in 2010) and about one-fifth of what Ken Jennings won in his Jeopardy! career ($2,520,700). Better start studying up on French Impressionist painters!